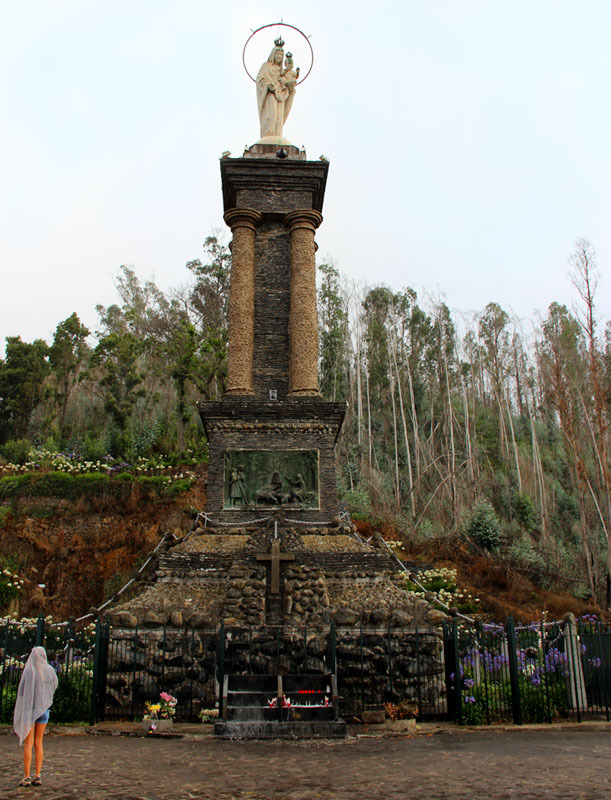 Get to know the imposing monument of Madeira built to worship the Virgin. Terreiro da Luta is an imposing monument built in 1927, 8 kilometres far from Funchal, to worship the Virgin. During the night, when it is illuminated, it can be seen from all over the city. The legend goes that in 1916 numerous German submarines sank ships and started to bomb Funchal in order to avoid the island to be used as a base by the Allies; and the Virgin, who was heavily worshipped, stopped the attacks. Currently, the big chains surrounding this monument come from the very anchors of the Allies ships sank on the port. In front of the monument is located the train terminal of Funchal a Norte, which was closed after 1939 due to an accident. Nowadays, what used to be a railway station, hosts a bar and restaurant with a terrace from where you can enjoy good views of Funchal. Bus 56, 103 or 138.